Jane Austen was a British author whose six novels quietly revolutionized world literature. She is now considered one of the greatest writers of all time (with frequent comparisons to Shakespeare) and hailed as the first woman to earn inclusion in the established canon of English literature. Despite Austen’s current fame, her life is notable for its lack of traditional ‘major’ events. She did not marry, although she had several suitors, and any references to private intimacies or griefs were excised from Jane’s letters by her sister Cassandra after the author’s death. Austen struggled to get many of her novels published, and some of her best-loved writings (including Northanger Abbey and Persuasion) were published posthumously. Despite this, recent biographers have tended to see Austen’s life through the prism of significant and shaping emotional events — personal distresses and disappointments as well as literary accomplishments. With this in mind, we have taken a look at some of the key events in Austen’s life; her unhappy move to Bath, the influence of family ties and the French Revolution, publishing deals, and subsequent critical responses. Discover Austen’s world, and its impact on her writing…. Featured image credit: Three young woman are sitting at table in a garden having afternoon tea by Kate Greenaway, from Wellcome Images. CC-BY-SA 4.0 via Wikimedia Commons. 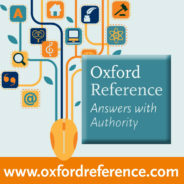 Bringing together over 2 million digitized entries across Oxford University Press’s Dictionaries, Companions and Encyclopaedias, Oxford Reference is the premier online reference product, spanning 25 different subject areas.